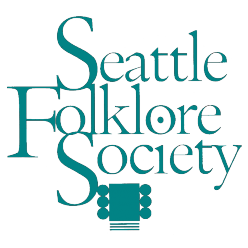 Seattle Pub Sing 3rd Thursday 8-10 PM at TS HcHughs 21 Mercer St.
Every Thursday Cajun Jam 7-9:30 PM at various homes. Contact Katherine KBranigan1959@yahoo.com for current location. 2nd Sunday: Old Time Jam, Sarah Comer, 1:30–3:30, at Dusty Strings. Info: music@dustystrings.com. 3rd Sunday, Ukulele Jam, Sunga Rose, 2:30–4, at Dusty Strings. Info: music@dustystrings.com. Fourth Sunday, Bluegrass Jam, Rob Bulkley, 2:30–4:30, at Dusty Strings. 3406 Fremont Av. Info: music@dustystrings.com. Every Tuesday Twede’s Cafe, 137 East North Bend Way, North Bend, WA 98045, 425/831-5511. . 6:30. Contact Alan. Acoustic music. Every Wednesday and Thursday Grumpy D’s Ballard 7001 15th Ave NW. First Thursdays Crossoads Shopping Center, 156th Avenue NE and NE 8th St, Bellevue. Presented by Victory Music. from 6pm to 10pm, 425-644-1111. Wired and Unplugged Coffee House, 717 1st St, Snohomish.